Ok, this project is definitely happening at my house! 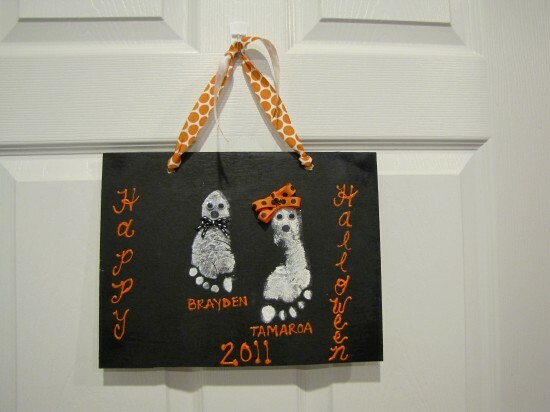 I love it and it is going to be a great keepsake for my twins’ first Halloween! You can find this and other great ideas at Gathered In The Kitchen. Wish me luck on getting my two 11 month olds to stay still enough to get a good footprint! If the project is a success, you will find pictures on my Facebook page in the next couple of days!